Can a biomechanics lab at LUMS help raise the standard of cricket in Pakistan? 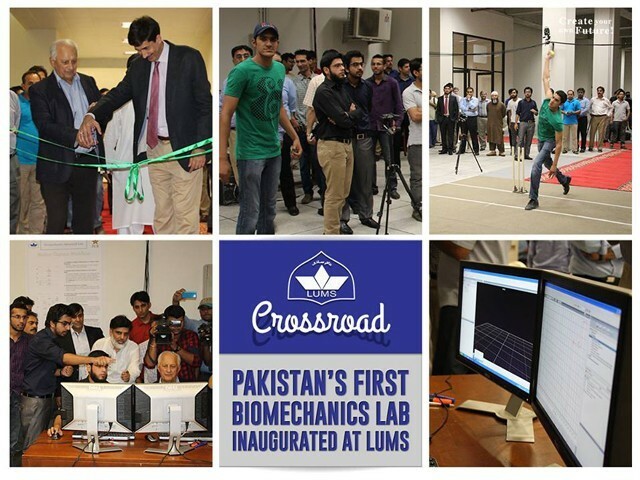 On May 23, 2016, the Chairman of Pakistan Cricket Board (PCB), Mr Shahryar Khan and Vice Chancellor LUMS Professor Dr S Sohail H Naqvi, inaugurated a state-of-the-art Biomechanics lab. This news story should surely bring plenty of smiles to the faces of our bowlers, especially our current and emerging spinners. The newly inaugurated biomechanics lab records the athlete’s body movements with great precision and maps them out on an advanced software helping bowlers test their actions, identify irregularities and work on eradicating them with the assistance of their coaches. To begin with, the introduction of a biomechanics lab will help in raising the standard of cricket in Pakistan by leaps and bounds. 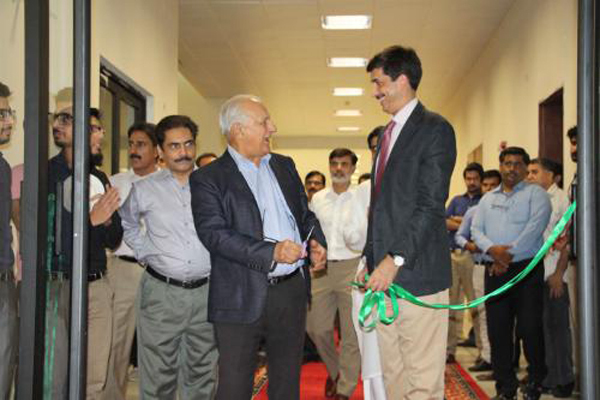 Chairman Pakistan Cricket Board (PCB), Mr Shahryar Khan and Vice Chancellor LUMS Prof Dr S Sohail H Naqvi, inaugurated the state-of-the-art Biomechanics Lab. It will allow our players to work on technical errors and fix suspect bowling actions by checking them at an early stage. It will not only save our cricketers from encountering unpleasant situations later on in their careers, but will also significantly reduce the negativity that arises every time a Pakistani spinner is called out for having an illegal action. The LUMS Biomechanics lab will become the sixth International Cricket Council (ICC) accredited lab in the world after it receives accreditation from the council. Currently, there are five ICC accredited labs in the world; Brisbane, Chennai, Cardiff, Loughborough and Pretoria. The location of the new lab, LUMS, is the epicentre of experimental learning and untapped potential. Kudos to the Electrical Engineering Department at LUMS who assisted significantly towards making the project operational. The unique laboratory does indeed stand at the intersection of the heart of Pakistan’s obsession and modern engineering. With a high degree of competitiveness, an innovation-promoting environment and the entire infrastructure, LUMS could become an invaluable resource for a progressing cricketing nation. International cricket is changing at an excessively fast pace and our resistance towards these changes is leading towards the demise of Pakistan cricket. A player of Rashid Latif or even Inzamam’s calibre would struggle to cope with the pressures of the modern game. Cricket has become more of a psychological game rather than a physical one; one that requires not the talent that is rotting in abundance, but professionals who can read the situation and mould their game accordingly. People have blatantly criticised the absence of educated players in the national team as one of the primary reasons behind the side’s poor performances in recent times. Nothing proves the statement true better than the flawed remarks against it. While there is no denying the fact that cricketing talent speaks for itself and does not require a degree, it is not the degree that adds credibility, but the learning experience that instils in a person a sense of responsibility and professionalism that is often missing in many of our highly-rated and talented players including Ahmed Shehzad and Umar Akmal. With the commercialisation of cricket at its pinnacle, young players are exposed to rather difficult situations that they are unable to counter, which ultimately have a deep psychological effect on their game. In this regard, perhaps, Pakistan should look towards Loughborough University. Known for its outstanding contribution to the sporting world for over 60 years, Loughborough University has established itself as the permanent base for the England Cricket Board’s National Cricket Performance Centre. By bringing together exceptional athletes, facilities, coaching and research expertise with extensive partnerships with major sports organisations, Loughborough University has managed to provide record-breaking athletes in sports, ranging from rugby to cricket. Moreover, Loughborough University has emerged as a world-leader in research, education and the management of sport, exercise and health sciences by dedicating an entire faculty, namely School of Sport, Exercise and Health Sciences, to the integration of sport and science. Besides the indoor stadiums, gyms and support services, Loughborough also offers unique undergraduate courses, Sport and Exercise Science and Sport Management with Science to name a few, that ensure academic excellence and knowledge of the vastly spread field of sports. We really do not need to look further when discussing the merits of sports education when we have the example of Pakistan’s very own Loughborough student, Shan Masood. After attending Durham University representing their first XI, Masood is pursuing a degree in Management and Sport Sciences at Loughborough University. Articulate, even-tempered and hard-working, much of his success could be ascribed to his educational background and dedication towards personal development. After consolidating his place in the test team, Masood is knocking on the door for a chance in the shorter formats as well and while he may still be blending into his role as an international opener, he is just the kind of level-headed and studious young player our eternally embattled team needs. 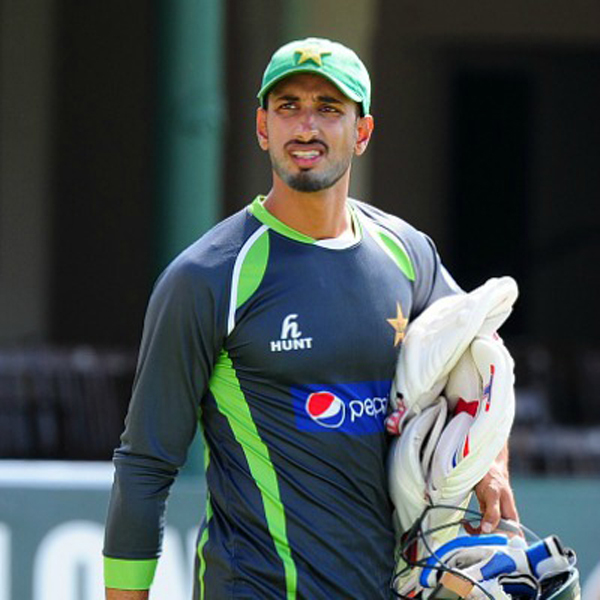 Shan Masood also emerged as Pakistan’s fittest cricketer. Along with its role in the rise of upcoming talent, education in any form can benefit the existing ones too. Mohammad Hafeez took a brilliant personal initiative to attend classes at LUMS that would help enhance his communication and leadership skills, both of which are crucial on and off the field. LUMS, undoubtedly, has the best education set-up in Pakistan and will be able to cater to our players by developing skills such as stress management, prevention of drug abuse and media management, all of which have created embarrassing situations for Pakistan in the past. Situated at a five-acre site east of the main campus, Syed Maratab Ali Sports Complex could be developed to act as the development centre where local cricketers can develop, amend and improve their skill sets. The provision of necessary equipment and the installation of bowling machines, video analysis rooms and development of pitches at the complex could help in making it a specialised arena for player development. Moreover, with the university gladly considering the options of joint ventures with international universities, LUMS could possibly give thought to setting up a fifth school, similar to the one at Loughborough University, or an independent faculty that unites science and sports by offering unique undergraduate programs such as Kinesiology and Sport Management. Will Pakistani cricket see an improvement with the opening of the biomechanics lab? 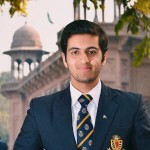 Muhammad has worked as a sports reporter for the Web Sports Desk of The Nation. #PakvsZim: When your haters are silent, you know you’ve made it!